 Harbach Lofts gives you all the benefits of living in the center of the city, while still enjoying an easy-going neighborhood vibe. Want to work out, grab a coffee, hit the trails, or just hang out with friends? You don't have to go far. Harbach Lofts is loaded with spectacular amenities. Our all-new interiors feature true loft-style floor plans with the high ceilings, exposed brick, hardwood and polished-concrete floors you’ll never find in the newly built apartments sprouting up everywhere. Our comfortable light-filled lobby is a great gathering spot. Relax with friends or cozy up with your laptop or a good book. 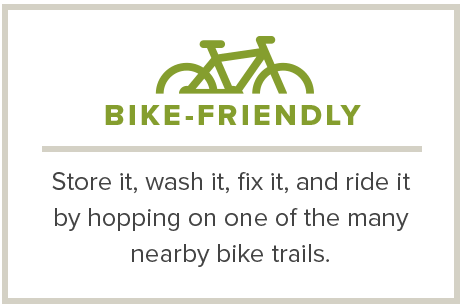 Pamper your ride in our bicycle lounges with washing and wrenching areas. Harbach Lofts offers the convenient urban lifestyle you’ve been waiting for. Smoking fast broadband - up to 1GB. Fast enough for all of your friends to stream a different movie simultaneously. Comfortable and spacious community lounges with free high-speed Wi-Fi. Vintage living with modern conveniences like full-size, in-unit washers and dryers. Imagine a weekend relaxing, enjoying great food, and having fun with friends, all within blocks from your home. Stroll down to the Downtown Farmers’ Market for breakfast and fresh produce. Choose one of the many restaurants nearby to grab lunch with a friend. Head back to the Harbach Chill Spot to relax with a book or to surf the Internet. 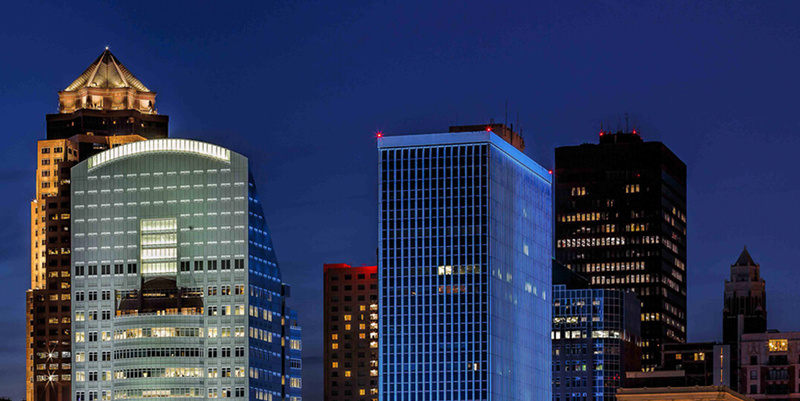 Meet up with a group for dinner & drinks at 300 Rooftop or Fuzzy's Taco Shop, only one block away. Get your night started with just a short two-block walk to one of the many Court Ave establishments. No two lofts are the same. Your home is uniquely yours. Our vintage apartments break the cookie-cutter mold. Each unit oozes retro-industrial character. Building A features hardwood floors, massive wooden beams and columns, skyline views, a chill space and a sweet party room. Building B has polished-concrete floors, exposed brick walls, large vintage-style windows, and a fully outfitted fitness center.